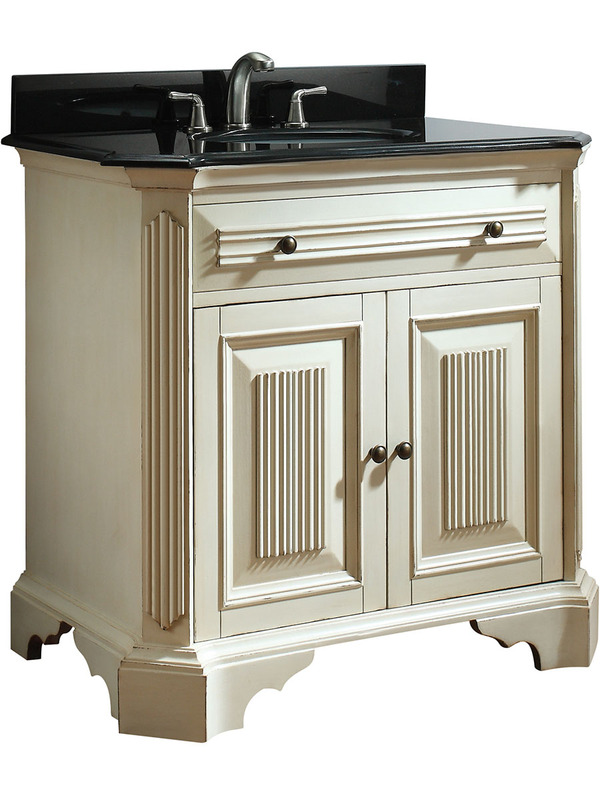 The Kingswood 36 in. 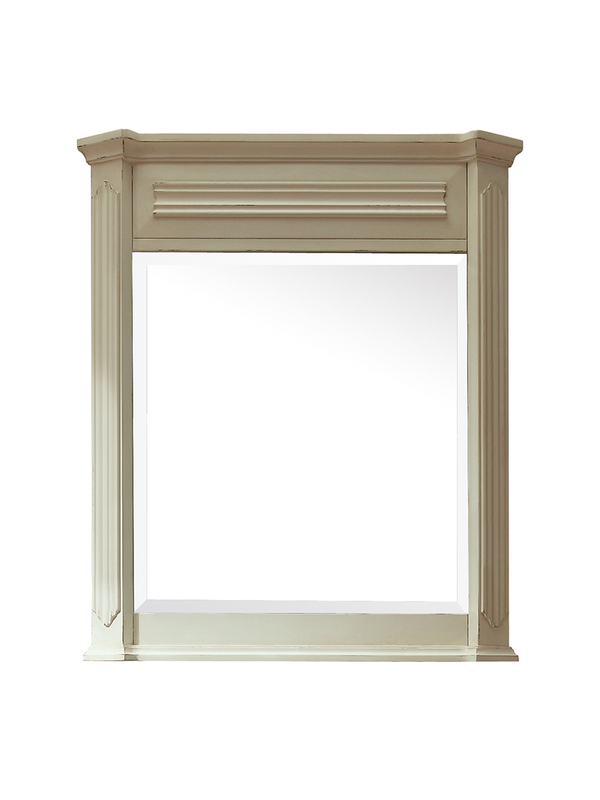 vanity in distressed white is a beautiful furniture piece. 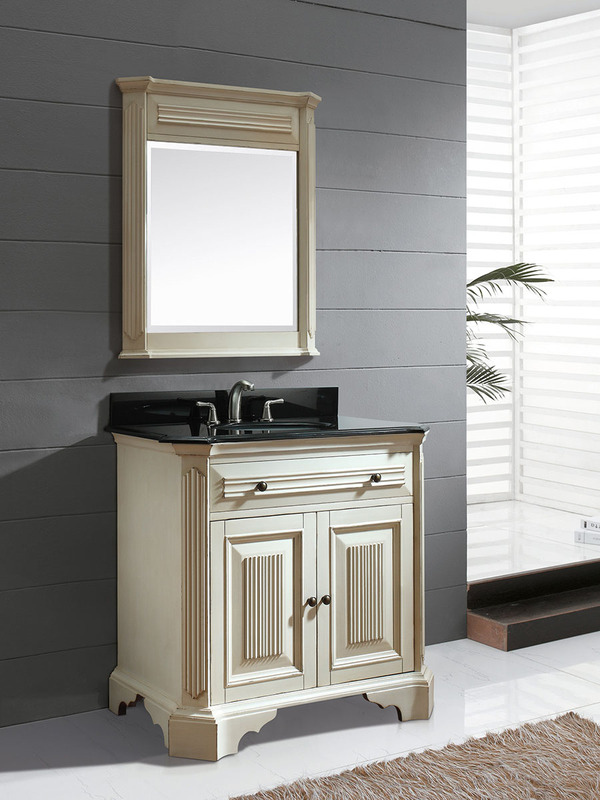 Special distressed effect is applied to the vanity body to give it an old world look. 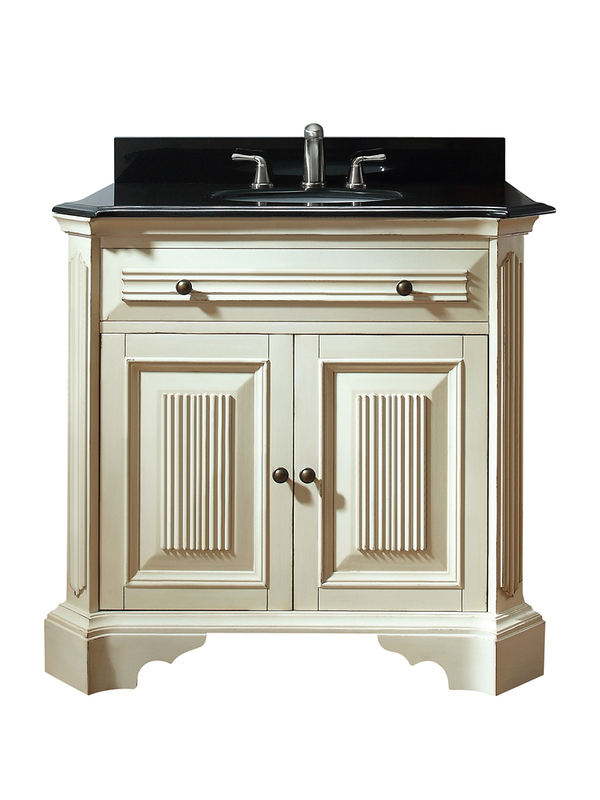 Constructed of solid poplar wood frame, black bronze hardware, and soft-close doors. 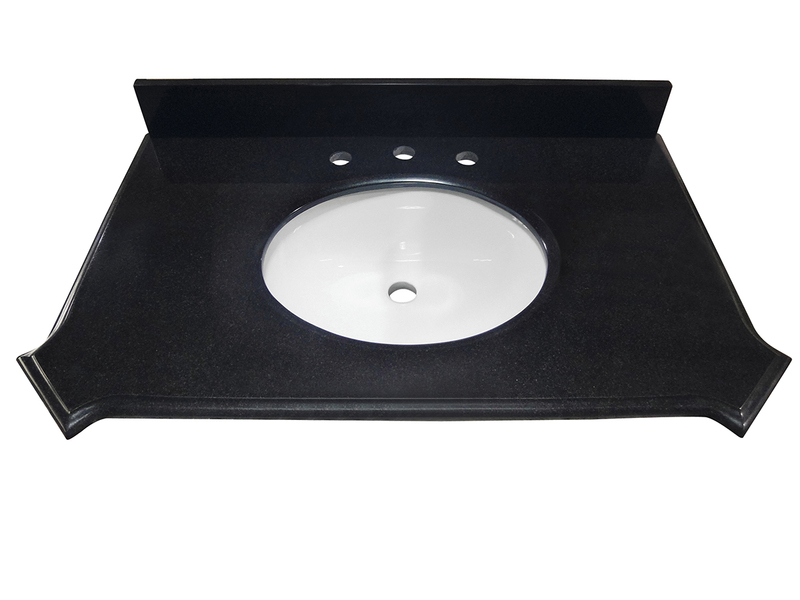 Black granite top and linen undermount sink included. 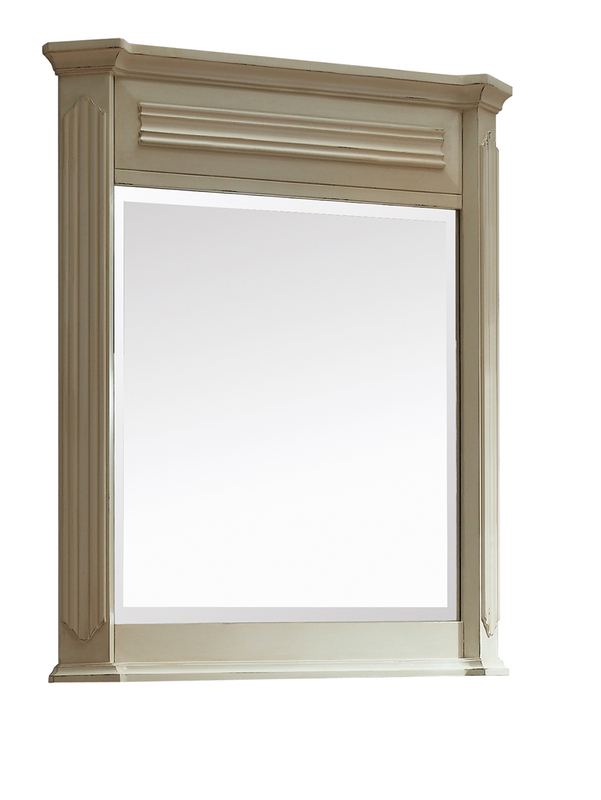 A coordinating mirror is available to complete this collection. Mirror: 24" x 0.8" x 36"